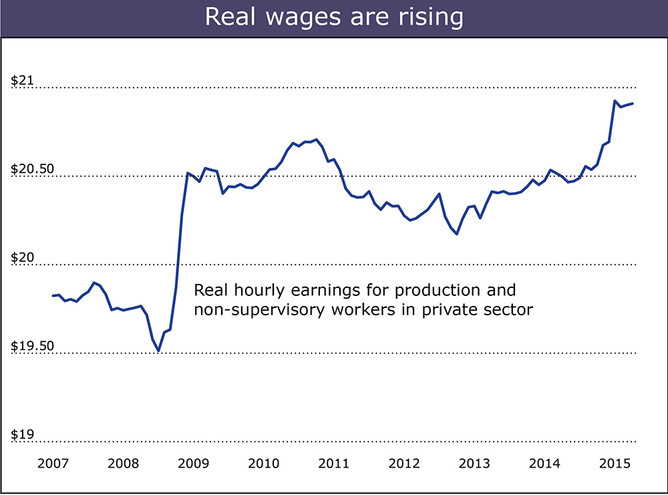 Long term trends are hard to spot in chaotic data, but it looks like wages are actually rising. There’s been a recent surge that builds on a slow, positive trend of the last few years. A 2% raise is not much, but with low inflation (and possible deflation), 2% is useful. The change isn’t revolutionary, but it is the kind of change that is necessary for a middle-class recovery. I still think we are teetering on the edge of deflation and if we go down, real wages are going to go with it.This is one case where I hope to be wrong.